Empowering women through microfinance is at the heart of what we do. 70% of the worlds poor are female. What’s more, studies have found that internationally, women are more ‘financially excluded’ than men. This isn’t just a developing world issue; studies in the US and Europe have shown women are more likely to be financially excluded (less able to take a loan for example) than men [FinMark Trust, 2016]. In 2012 the State of Microcredit Summit Campaign Report found that of microfinances’ reach, 82% of the very poorest were women. Too many women struggle to access financial services - even the most basic, like a safe place to save. We know that financial exclusion is a major issue for women worldwide; women and girls comprise half of the world’s population but own only 1% of the wealth. [Advocates For Youth]. We see the result of this inequality in the lives of our clients. 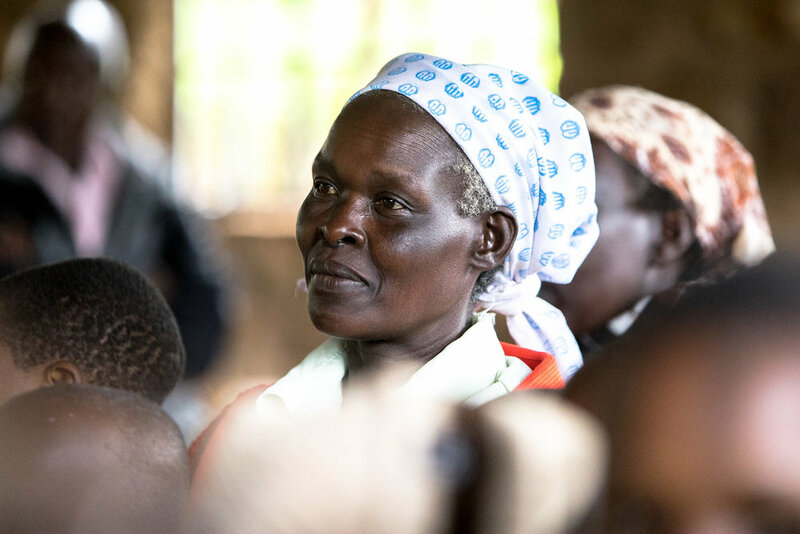 Before joining our microfinance programmes, many of our female clients were forced to rely on their husbands, fathers, or brothers when they needed money. They had no control over their finances, meaning they had no control over their futures. For women in poverty, microfinance offers an opportunity they have never had before. But is all this empowerment having an effect? It’s easy to say the work we do is empowering but how empowering? Could we be doing better? All of these questions (and many more!) led to the decision we needed to independently evaluate our programmes - so that’s exactly what we did (and in next month’s post we will tell you what we found!). Women’s empowerment through sustainable microfinance is important, not only because it offers a route out of poverty, but also because it addresses problems of inequality. Research has found that women farmers are responsible for 60-80% of food production in low-income countries, but, globally, own less than 20% of agricultural land - and less than 5% of the world’s titled land [Advocates for Youth]. Giving women the chance to build and scale their own businesses is an effective way to deal with this inequality. Research has also shown that women are more reliable when it comes to repayments, which is important when our clients are borrowing from a communal savings pot! Providing access to financial services when accompanied by business training, increases women's’ decision-making power in the household and improves their socio-economic status in the community. In essence, for our female clients, it’s all about respect and self-empowerment. In our opinion, women and microfinance are a great combination!